Military records can include everything from your ancestors' draft registration cards to information about commendations, medals, and pensions received. These records, some of which are available free of charge, can be invaluable in helping your figure out the details of your family tree. In some cases, they can even help you establish lineage to join a society like the Daughters of the American Revolution. 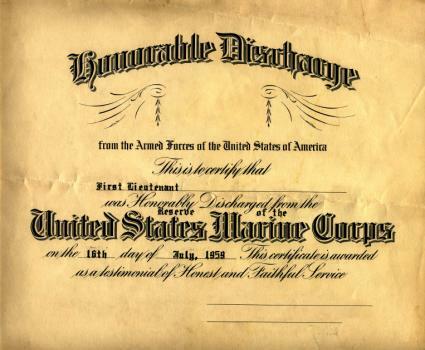 Knowing how to perform a military record search is a handy skill for any genealogist. You'll find military records from both free and fee-based resources. For most public military records, the National Archives and Records Administration (NARA) is your best source. There are hundreds of thousands of documents relating to military service housed here, some of which may apply to your ancestor. You may be able to find compiled military records, which are groups of records pertaining to a specific individual. You could also find bounty land records and regular army records for enlisted men prior to 1894, as well as photos from World War II, information about medals, and much more. NARA also houses military personnel records, which can be very helpful. Researching at the National Archives is free, although you may need to pay a small fee for copies. For a fee, you can also have a researcher search for specific records for you or send you a copy of the service records for an individual. The United States Department of Veterans Affairs maintains the Nationwide Gravesite Locator. It contains burial records of United States veterans. Most of the deceased on the list are buried in VA cemeteries. It also includes those buried after 1997 in private cemeteries if the service member received a VA tombstone. To perform a free search, simply enter as much information as you know about the individual. It helps to know the full name, date of birth, and date of death. The National Park Service website contains one of the most comprehensive Civil War databases, called the Civil War Soldiers and Sailors System. Here, you'll find a listing of both Union and Confederate military personnel. The site includes battle histories and information on individual regiments. There is also a listing of prisoners of war in Ft. McHenry Union prison and Andersonville Confederate prison. The site has a listing of burials at the Poplar Grove National Cemetery, near Richmond, Virginia. Although this database offers a lot of information, you won't find the level of detail available from NARA. To see what this database might have on your ancestor, just enter as much information as you can. Ideally, this will include name, home state, and rank. State archives may also have free military information online. Many state archives, such as Texas and Louisiana, have pension application indices online. You may also find veteran land grants at state sites. The exact records and level of detail vary from state to state, so you'll need to access the archives directly to see what they have. NARA maintains a listing of contact information for state archives. Click on the link for the appropriate state to see what is available at the state level. To perform a search, you'll need as much information as possible about your ancestor. It's best if you can include your ancestor's full name, date of birth, and date of death. The Daughters of the American Revolution (DAR) is a lineage society of descendants of patriots from the Revolutionary War. They are committed to genealogical research and have a large archive in Washington D.C. Many people need to access military records in order to belong to this type of genealogy society. Luckily, the DAR has lots of information to help you establish membership, or learn more about your ancestors. Volunteers can even help you research for free. The Daughters of the American Revolution (DAR) Library website has the DAR Genealogical Research System. This database system allows searches for ancestors, descendants and DAR members. A genealogy subscription site like Ancestry.com is also a good place to conduct a search for military records. Ancestry.com has a database of World War I Draft Registrations, as well as Union pension records and World War II databases. You'll find pension records, land grants, and more. This is basically one-stop-shopping for military records if you're willing to pay a fee. Subscribing to Ancestry.com costs about $20 per month, but there is a two-week free trial for new members. You'll need as much information as you can gather about your ancestors to perform a great search. USGenWeb is totally free, and it has sites for every county in the U.S. Many of the county websites have a list of local soldiers who fought during various wars. This is also a great place to find information about state land grants, which some soldiers received after their service. To find out if there's local information about your ancestor, you'll need to know the state and county where he or she lived before joining the military. Then you can access that page by clicking on the appropriate state. Whether you're looking for details on a Revolutionary War soldier or trying to find World War II Army service records, the information is out there. Knowing where to look for these records gives you a head start on filling in the blanks in your family tree. Gather as much information as you can before you begin your research, and soon you'll have the answers you need.